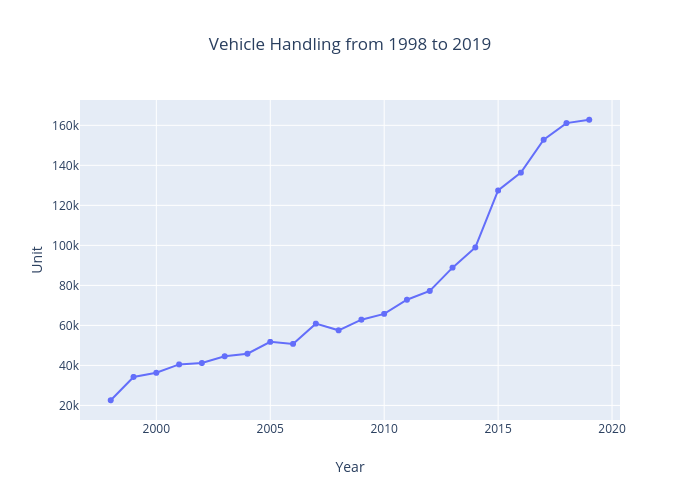 Muhdnasarudin's interactive graph and data of "Vehicle Handling from 1998 to 2018" is a ; with Year in the x-axis and Unit in the y-axis.. The x-axis shows values from 1996.7934981684982 to 2019.2065018315018. The y-axis shows values from 12706.389140271496 to 170997.6108597285.